This month's Bay Area Kids Fun post is one of the best yet! 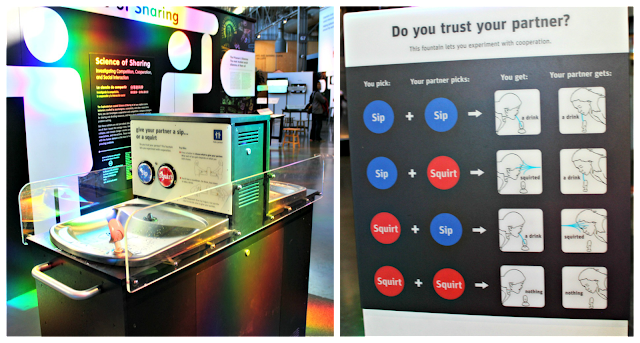 If you live in the San Fransisco Bay Area, then you most likely know about the Exploratorium. Opening in 1969, the Exploritorium was the brainchild of Frank Oppenheimer, who wanted a place where the general public could gain some knowledge and understanding of science through the exploration and testing of natural phenomena. All ages are welcome. My son Myles, although on the younger side (3.5), was thoroughly engaged the whole 5+ hours we spent there. What I really love about this museum is the age versatility. The younger ones can tinker around and explore with the exhibits, learning through play and having fun; the older ones can read and experiment with each exhibit, learning through testing out the hypotheses and finding the answers. This place is a must-see in San Fransisco whether you're visiting or living, kids or not. It truly is the stand-out among all of the museums in the Bay Area, as well as others we've visited throughout the rest of U.S. It would be impossible for me to review every exhibit or even half of them, so I am going to share with you all our 14 favorites! 1. Tornado Simulator: Myles thought it was so cool to be inside a 'tornado'! 2. This fun experiment was apart of the Human Phenomena exhibit. It's all about your personality and trust in others. 3. Card tricks: this was something Myles and I equally loved. He sat all the way through 2 tricks and was totally enthralled. I'm sure he didn't quite get what was going on, but the workers were so awesome and they did some tricks that appealed more to his age group! 4. Myles got to test his sense of touch with this fun box. You have to guess what the objects are only by feeling them. On the other side is a clear window, so someone can tell you if you are right or not. This would be something really fun to do at home too. 5. So this is an actual human brain. I was totally creeped out, yet super fascinated by it. I could not walk away. It just blows my mind (pun intended), that something as plain and simple looking as this is the most complicated part of our bodies. 6. I had to take the time to try out this exhibit. It's purpose is to show that our faces aren't exactly symmetrical. You line your face up perfectly in the middle of the camera and once you picture is taken, the computer puts together 2 new pictures of yourself as your left side doubled and your right side doubled. Recently, I have started to noticed more and more how different my eye shapes are, so I really wanted to see what my outcome would be. 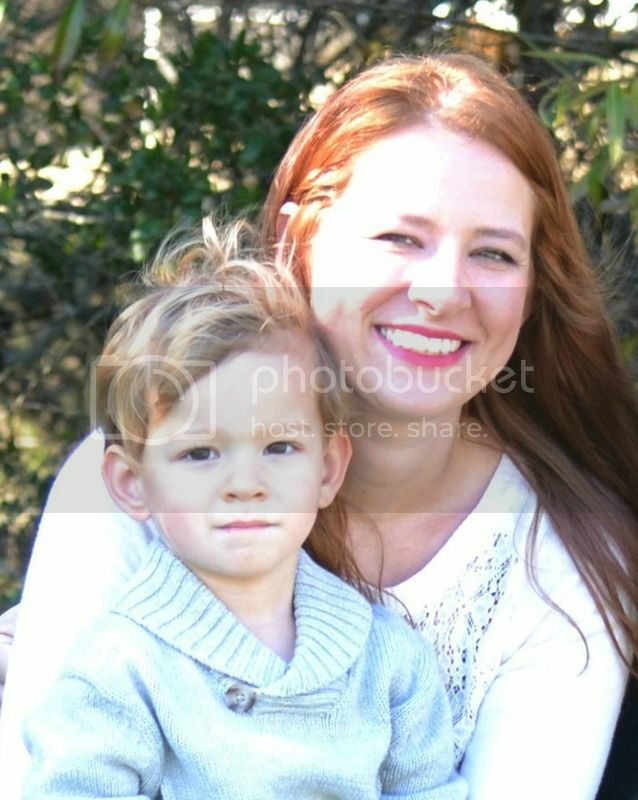 It is crazy to me how different each picture is. My whole face shape is completely different, and so are my eyes and nose! 7. Do you dare take a drink from the drinking fountain guised as a toilet? I loved this social experiment! I tried it, Myles wouldn't! 8. This is one of the more famous exhibits in the museum. This structure is made entirely of toothpicks; over 40 years in the making and still being updated and added to. The most recent addition is the 2015 Warriors NBA championship trophy. It is also a maze that balls can wind their way through. 10. Slinky Treadmill: if I had to pick a number one favorite for Myles this would be it. It was right up there on my list too. Who hasn't ever dreamed that their slinky could go on and on and on!?!? This thing is literal genius level science (lol)! 11. This was by far my exhibit in the whole museum. I cannot even begin to describe to you how calming and relaxing this is. I am a total Type A personality, so creating these perfect shapes and designs was incredible. I was glued to that chair for a good 15 minutes, before Myles forced me to move on. 12. The scientific part of my brain does not exist, so bear with me as I try to explain this exhibit. This is out on the rooftop inside of a dark tent. The tent is shaped like a cone and at the top there is a hole. Somehow this hole acts as a telescope that reflects the Bay Bridge and surrounding area back to the table inside the tent. It's so detailed, you can see the cars driving across the bridge in real-time. The Fisher Bay Observatory Gallery: Observing Landscapes is all about the local Bay Area. 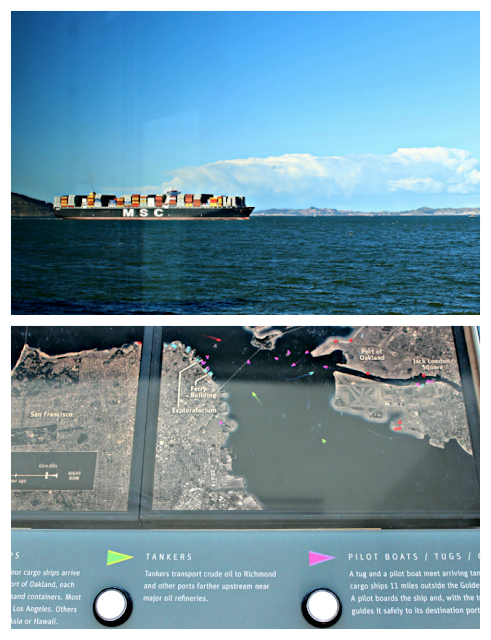 Here they have a computer that shows all of the boats in the Bay moving in real time. They are colored coded by type and the arrow shows which direction they are moving in. You can look out the window and know exactly what each boat is for and where they are going. 14. Myles loved everything outside, of course. I was really impressed with how interactive the staff is. He was teaching Myles an actual song. I'm not sure how far he got, but kudos to him! 15. My 90s inner child's heart exploded with this one: a life-size Spirograph! You have to wait in line to sign-up for a time slot to participate in this exhibit, but it is so worth it. You are able to choose how you want yours to be done and the staff just follows your directions. You pick out three colors and with each color you choose the direction and shape by pushing the bottom as hard or soft as you want. You tell them when to drop the color and when to pick it up as well. And when it's finished you get to bring it home! It's incredible with the size and amount of exhibits, that everything is well functioning, clean, and accessible. I can't remember anything being out of order. We went on a Sunday morning, and although it was pretty busy, we had no problems seeing all of the exhibits we wanted. Great use of space and bringing the Bay in as much as possible. World renown science exhibits accessible to the general public. At least 5+ hours of learning for the whole family; ways for all ages of the family to engage. I feel that there is so much to do and see that it is overwhelming at times. It's great to have so much to do with such great variety, but I don't think it's possible to do everything, even in a whole day. Parking (as always in the city) can be pricey and hard to find. Try to go with public transportation if possible. All I can say about this place is, if you haven't been, GO! And even if you have been, go again! They are always changing, adding, and improving, so chances are very likely that you will see something new every time you go! The Exploratorium is on the top of so many lists for very good reasons; engaging, educational, Bay views, and fun for the whole family!